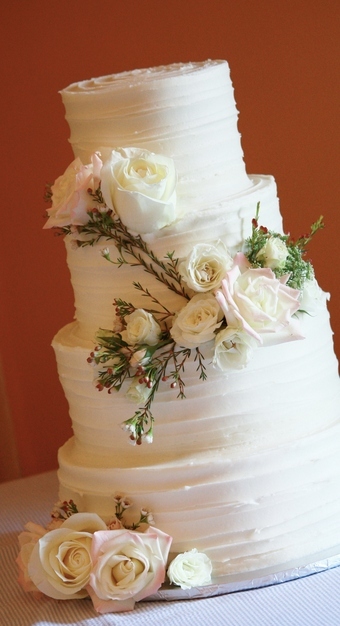 Kim Cake is a home based bakery located on the central coast of North Carolina. 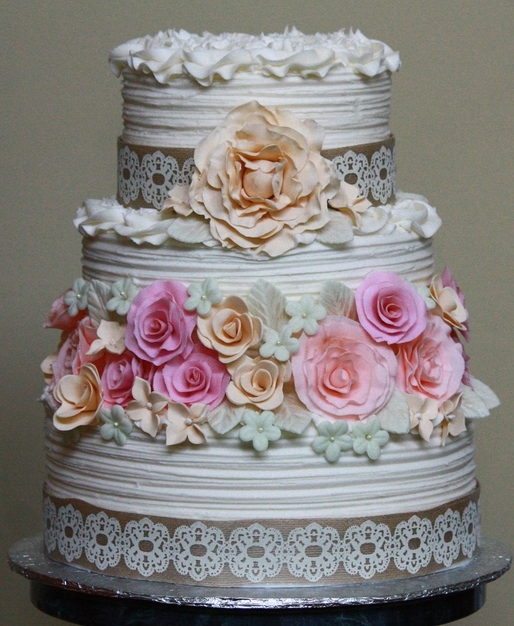 I have been lucky enough to find that magical mix of bakery style decoration with a homemade taste. I make wedding cakes, groom's cakes, cupcakes, birthday cakes, any occasion for cake...I do it...and I love it. You HAVE to love it. 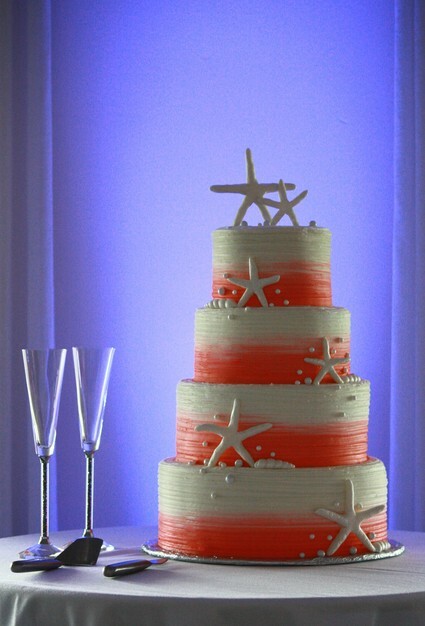 Cakes can be discussed and designed in person, by phone, or by internet for destination weddings at the beach. 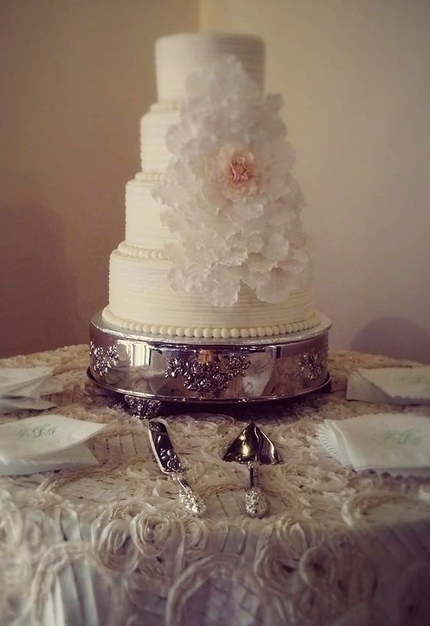 Providing a beautiful and delicious cake that meets AND exceeds your expectations is my goal, "cake karma" is the result! I enjoy meeting with fidgety, nervous brides and removing some of that angst with three simple words: "I've GOT this." I have no packages at this time. Are there any additional services you provide? Assorted cupcakes that are in keeping with the feel of the wedding are always a nice addition to the day. Along with a Cupcake Menu (which can be provided upon request) it gives the guests alternative dessert options beyond the wedding cake. Can you provide references upon request? Do you require a deposit beforehand? How far in advance should clients book your services? That depends on the time of year the cake is needed. 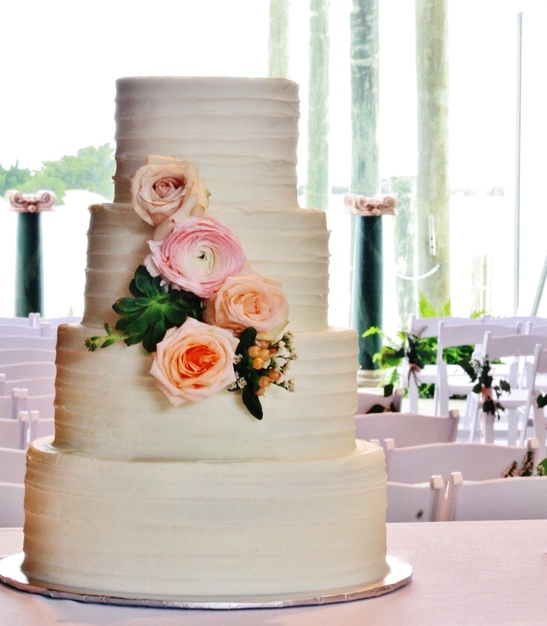 During "wedding heavy" months, typically spring and summer, dates should be booked six months or so in advance. Some dates during the slower months can be booked with as little as one week's notice. 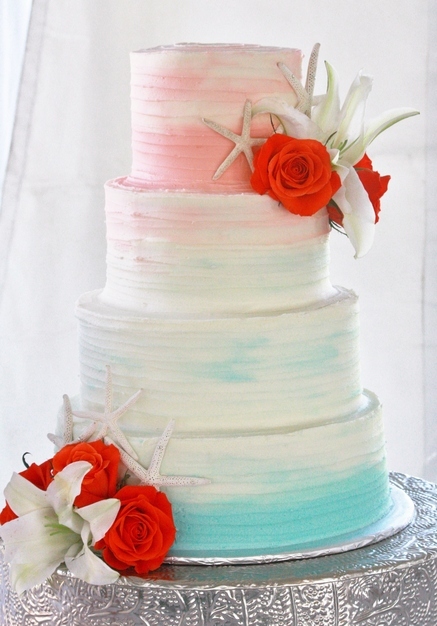 What cake styles do you provide? I can provide any style cake required. I do tend to steer clear of fondant covered cakes. 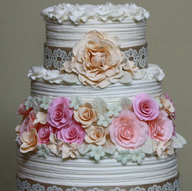 I prefer to cover my cakes with a textured buttercream and use fondant for the decorations. My motto is "Fondant should be the accessory, not the whole outfit." 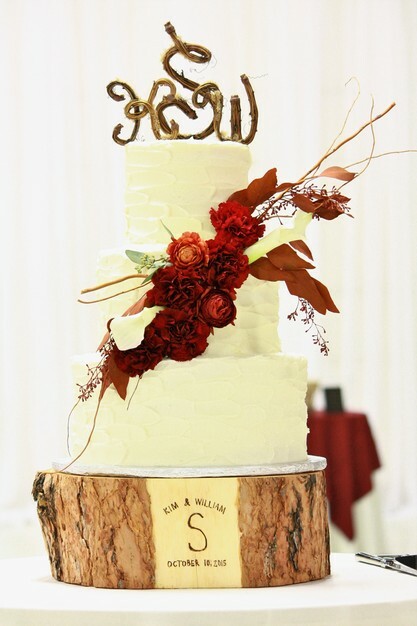 You want your guests to look at your cake and say, "It's BEAUTIFUL! Let's CUT it!". 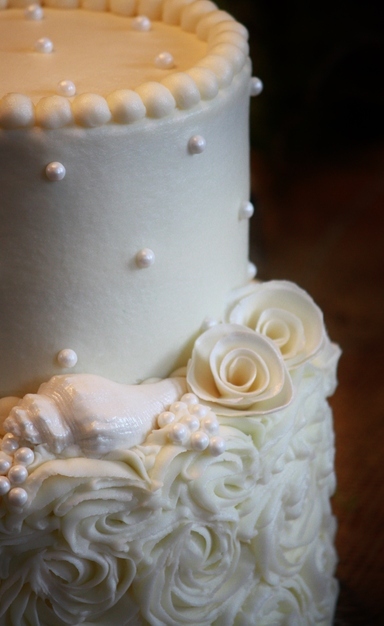 Buttercream covered cakes give that sort of effect more so than fondant. Do you offer private tastings? What is the cost? As I am an at-home based business, all cakes are made to order and, therefore, I do not typically have samples available. Small cakes or cupcakes can be ordered for tasting, but if I know that there are particular flavors you would like to try and I happen to be making a cake with those flavors, I would be happy to set aside a small serving for tasting. 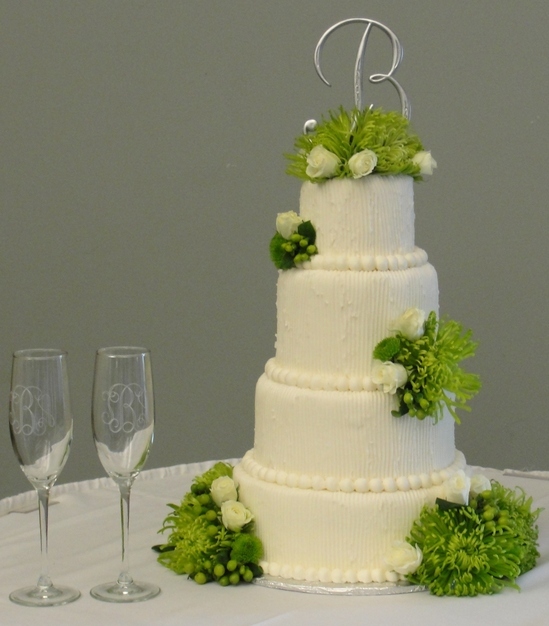 Do you provide cake toppers and other decoration? 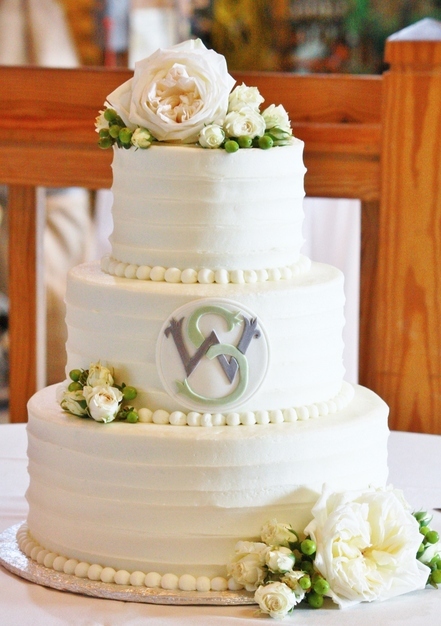 I can make the cake topper, arrange fresh flowers on the cake if requested, or attach a previously purchased topper provided by the bridge and groom when the cake is placed at the venue. 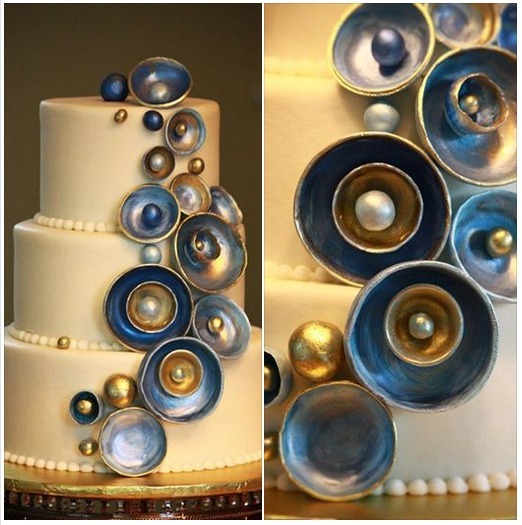 Are you willing to work with custom cake designs? Yes. I have some brides that have a very definite idea of what they want, some have an idea of the feeling they want the cake to evoke, some just want a cake! It's always exciting to sit down and sketch the design of the cake with the bride and groom present. 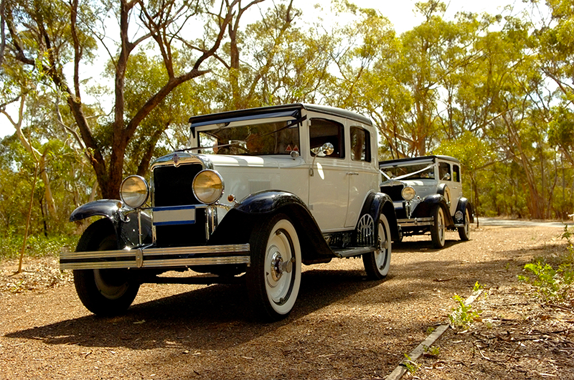 Do you provide delivery to the wedding location? Yes, for a small fee, I do deliver the cakes. 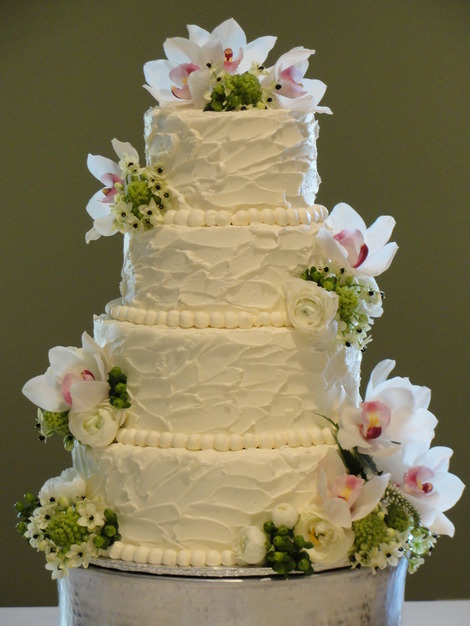 Smaller cakes with minimum decoration CAN be picked up by someone designated by the bride. What are your alternative dessert options?